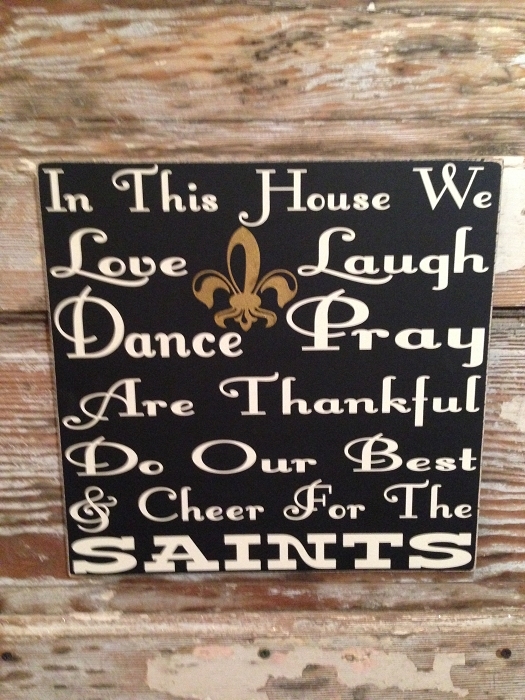 In This House We Love, Laugh, Dance, Pray, Are Thankful, Do Our Best & Cheer For The Saints. Great addition for any New Orleans Saints Fan! As Pictured, Black sign with Off White lettering & Gold Fluer de Lis. The edges are distressed and the sign is sealed for years of enjoyment. A seven sawtooth hanger is attached so your sign arrives ready to hang.